While messaging my friend Scott last night, I realized just how painful relationships amongst humans can be … be they casual friendships (caring for one another) or intimate bonds between family members (parents, spouses, children). The Christians I know all believe in the power of prayer, and Brenda and I are no exception. 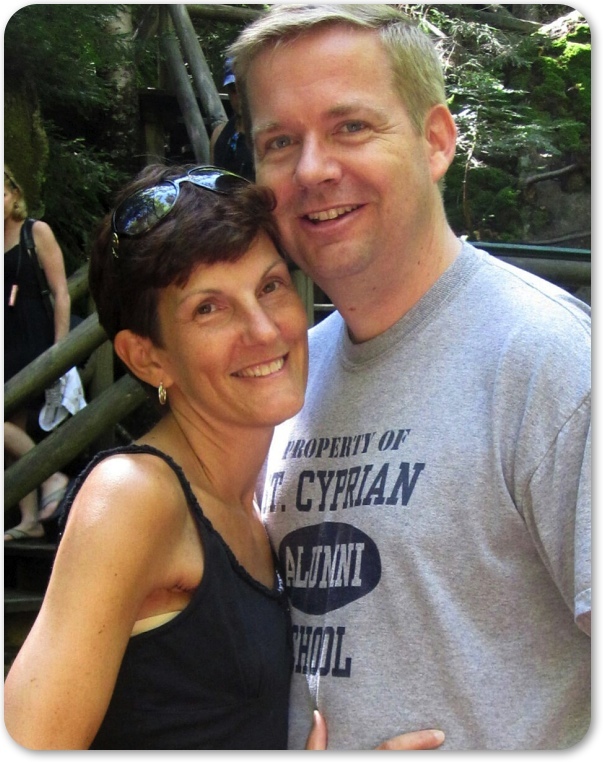 We pray regularly for Michelle, Scott and their family and that the Lord’s healing and mercy would be upon them. Scott disclosed that his wife’s physical condition has taken a turn for the worse and that she is now under hospice care. Unfortunately when dealing with cancer, it is something our society become all to accustom to despite all our medical advancements. The prognosis was never in Michelle’s favor, but we remained optimistic believing the tumors could be slowed, reduced or even eliminated with the variety of protocol treatments and experimental drugs. I also loved their optimism and in my mind concluded Michelle was strong and physically as capable as any to take on this fight. I thought maybe the outcome in her case would be different and prayed for God’s healing. Today my heart aches knowing how hard she fought and in hearing that her physical body can no longer continue. It does not seem fair for her to have to suffered so much only to succumb in the end. If there is any comfort, it is that her eternity is sealed by her faith in Christ and that her suffering is near an end … but I pain for her family. Five kids without a mom, a husband without the love of his life — please add the Bilik family to your prayers. God comfort them.